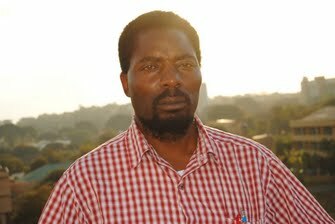 Gregory Gondwe is Malawian journalist based in Blantyre, Southern Region, Malawi. He is currently doing his final semester of his four-year-long Bachelors of Arts Degree in Journalism at the University of Malawi. He is a holder of a Diploma of Journalism and an Intermediate Certificate in Journalism. 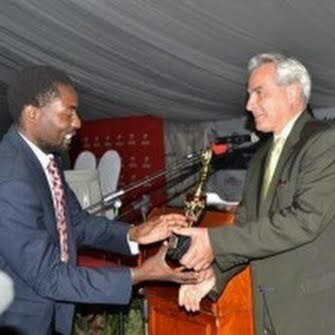 He also has other media related certificates in Reproductive Health- Nairobi, (June 15-18, 2005 National Press Foundation; Population Reference Bureau; EC Afrique); Reuters Certificate in Environmental Reporting (Johannesburg, November-December 2006); Certificate in Bird Flu Reporting (Kampala, February 2007) and World Bank Investigative Journalism Certificate (Lilongwe 2007), other numerous Media Related certificates. He is a multi-award winning journalist and at the moment who was once been the Bureau Chief/Chief Reporter for Times Media Group responsible for the Central Region of Malawi as well as Nationally respectively. Times Media Group comprise Times Television, Blantyre Newspapers Limited (which publishes, The Daily Times (Monday to Friday), Malawi News (Saturday), The Sunday Times), Times online, as well as a radio station. Previously he was the Regional Editor and Bureau Chief as well as Chief Reporter for Zodiak Broadcasting Station. His career span through newspaper reporting where he has produced quality news and feature stories for major publishing houses for the country's daily newspapers; The Nation Publications Limited and The BNL besides stringing for the country's public broadcaster, the Malawi Broadcasting Corporation. He has also corresponded for various international news outlets including CNN.